in AUD, AUD to GBP, GBP, GBP to AUD. The Pound Australian Dollar (GBP/AUD) exchange rate is down by 0.6% today and is currently trading around AU$1.8500 on the inter-bank market. 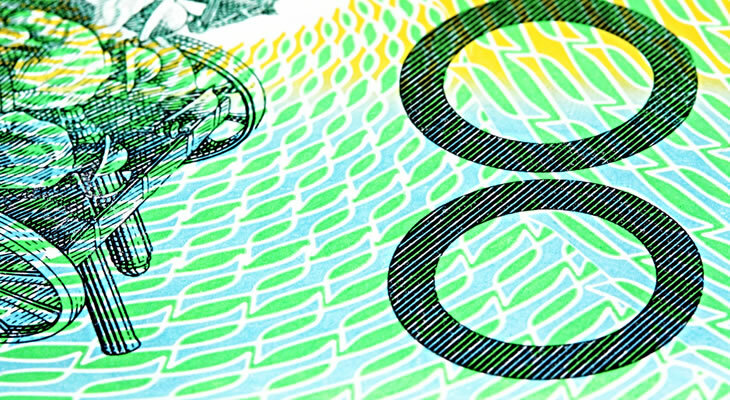 The Australian Dollar (AUD) rose against Sterling (GBP) today following better-than-expected Australian trade balance figures for February, which increased to 4,801m against the expected 3,800m. These were followed by positive Australian retail sales figures for February, which shot up to 0.8%, exceeding expectations and buoying market confidence in the ‘Aussie’. Sterling, meanwhile, has remained weakened as Brexit developments have taken another odd turn, with Prime Minister Theresa May due to meet with the opposition leader, Jeremy Corbyn, in an attempt to break the political deadlock over her withdrawal agreement. However, the cross-party collaborations which may involve a longer extension of Article 50, have caused a stir within the Conservative party. Jacob Rees-Mogg, a staunch pro-Brexiteer, has described it as ‘deeply unsatisfactory’ and accused May of collaborating with ‘a known Marxist’. Today also saw the publication of the UK Markit Services PMI figures for March, which slid into contraction at 48.9. The ‘Aussie’ has further benefited from news that its closest trading partner, China, is in the final stretch of trade talks with the US today, which are, as one analyst noted, in their ‘end-game stages’. Today also saw the publication of the Chinese Caixin Services PMI figures for March which increased above expectation at 54.4, further buoying optimism in a recovering Chines economy. ‘Aussie’ traders will be awaiting the release of the Australian AiG Performance of Construction Index figures for March tomorrow, and with any signs of improvement this could provide some further uplift for the AUD/GBP exchange rate. The GBP/AUD exchange rate will be driven by Brexit developments once again, and as May and Corbyn attempt to reach a consensus on Brexit, any indication of a possible long extension to Article 50 granted by the EU would benefit the Pound. Next ArticlePound US Dollar (GBP/USD) Exchange Rate Forecast: UK Economy to Stagnate Following Shock Contraction in Services PMI?